RockGlasä high temperature tape is heat, flame and fire resistant. 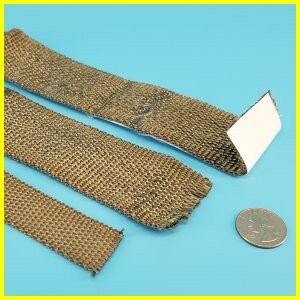 A woven tape that will not burn and will withstand continuous exposure to temperatures of 1350°F / 732°C. Available thicknesses is 1/16". These tapes are available with Pressure Sensitive Adhesive to aid in placing the tape. Used extensively as an exhaust pipe header wrap.